People used to use WhatsApp for enjoyment earlier but now it has become a necessity for everyone. Many use it for the work purpose; many find it convenient to simply keep in contact with the friends and for many, it is a medium of sharing the thoughts and feelings through status update functionality. This transformation from this 'want' to 'need' is really commendable and the fact should be admitted that the entire world, from child to old loves to use it no matter what. If all of a sudden, you don't find WhatsApp in your device, it can be really disheartening. Nevertheless, you should thanks technology for making it possible to get the deleted data back. You all have heard about Google Drive. With the help of it, you can get your WhatsApp backup. 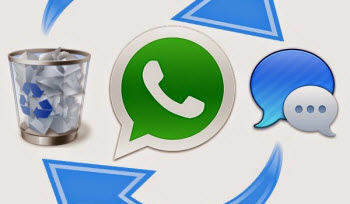 In this article, we will let you know how to restore WhatsApp backup from Google drive. Google Drive is able to store your chats and attachments as backup and then you can restore your data from it whenever you wish to. But you must have set a certain frequency for the backup. Putting simply, you have to set the backup frequency in your WhatsApp settings and by that the Google Drive will automatically creates backup according to that time duration. For instance, you will be getting options to choose among 'Daily', 'Weekly' and 'Monthly'. If you have chosen any of these durations, odds are you can easily restore WhatsApp from Google drive. Let us now understand the step-by-step guide for Google account recovery for Android devices. Step 1 – Assuming that you have arranged backup frequency and the backup is created in Google Drive, you need to firstly uninstall your WhatsApp from your Android device. Step 2 – Now, you need to re-install it. Just head to the Google Play Store and search for WhatsApp there. Install it from there and wait for the completion of installation. Step 3 – When the installing is done, you need to login your WhatsApp and complete the setup. Enter the same phone number as what you were using earlier. Verify the phone number by entering the one time password or OTP. Step 4 – When all the formalities of setup will get finished, WhatsApp will inform you that it has found a backup from Google Drive. You will be asked to restore it. Just tap on 'Restore' option and follow the prompts. Your WhatsApp will begin to restore from Google Drive now. Wait for a while and get all your WhatsApp data back to you. You have now learnt how to restore WhatsApp from Google drive. We hope you have understood it well. 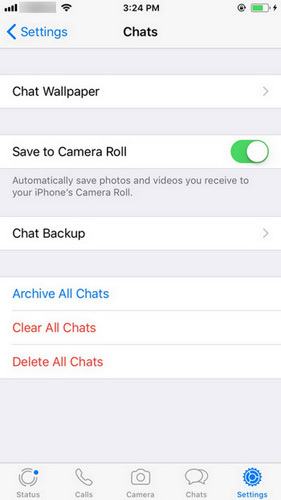 But now the question arises – what if you have not made backup of your WhatsApp earlier? What if then your WhatsApp gets deleted and you are unable to restore WhatsApp messages from Google drive? If this is your situation, fret not! We have a solution for this too. Just keep scrolling down and read on what to do. Without twisting the story more, let's cut to the chase. The solution is Tenorshare Android Data Recovery about which we were discussing a few seconds ago. It is one of the most powerful tools available for recovering Android data that are lost under any situation. You can recover a wide range of data types with it such as contacts, SMS, photos, videos and the like. Moreover, it has the capability to support almost all Android devices and tablets. Here is the guide to know how one can use this tool for recovering WhatsApp. Step 1 – To begin with, download and install the software. Launch it afterwards and get to the main screen. Proceed with connecting the Android device to the PC via USB cable. Don't forget to enable USB Debugging. Step 2 – When your device will be detected by the program, tap on 'Allow' on the device's screen to give the program permission to go further. Now, it's time to choose the data type. Click on 'WhatsApp messages & attachments' and hit on 'Next' subsequently. Step 3 – Once your WhatsApp data gets scanned, preview them in the next screen. Lastly, click on 'Recover' and get the back. Our purpose behind writing and sharing this post was to make you aware about restoring WhatsApp backup from Google drive. And now at the end, we hope that you have gained proper understanding about the method so that next time when WhatsApp deletion will happen, you could restore from backup on your own. Also, if you don't have backup, you have idea what you need to do, just take help of reliable tool like Tenorshare and you will be out of trouble. Thanks for reading guys!